Zegna Uomo After Shave Balm by Ermenegildo Zegna 5 oz After Shave Balm for MenUse subtlety to attract attention with Uomo for men by the design house of Ermenegildo Zegna. Launched in 2013, this fragrance is the essence of Italian style. The Uomo scent is confident but intimate, enticing people to get up close and personal. Zegna Uomo Cologne by Ermenegildo Zegna 1.7 oz Eau De Toilette Spray for MenUse subtlety to attract attention with Uomo for men by the design house of Ermenegildo Zegna. Launched in 2013, this fragrance is the essence of Italian style. The Uomo scent is confident but intimate, enticing people to get up close and personal. Zen Perfume by Shiseido 3.4 oz Eau De Parfum Spray for Women. The fragrance, Zen, was developed by perfumer Michel Almairac, and is described as a fresh, floral woody scent with notes of grapefruit, pineapple, bergamot, peach, blue rose, freesia, red apple, violet, lily of the valley, hyacinth, rose, gardenia, cedar, lotus flower, patchouli, musk, white musk, amber, incense and marine plant. Zen Perfume by Shiseido 1 oz Eau De Parfum Spray for Women. The fragrance, Zen, was developed by perfumer Michel Almairac, and is described as a fresh, floral woody scent with notes of grapefruit, pineapple, bergamot, peach, blue rose, freesia, red apple, violet, lily of the valley, hyacinth, rose, gardenia, cedar, lotus flower, patchouli, musk, white musk, amber, incense and marine plant. Zoa Night Perfume by Regines 3.3 oz Eau De Parfum Spray for Women. Conquer the night when you wear the luscious scent of Zoa Night perfume. This enticing fragrance for women was introduced by Parfums Regine in 2009 to celebrate the twentieth anniversary of the brand. Decadent top notes of champagne and lemon verbena lead into floral heart notes including fresh rose, with sensuous base notes of vanilla and amber finishing this memorable perfume. 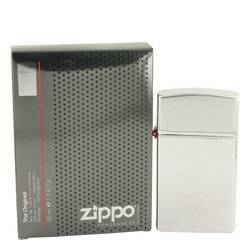 Zippo Original Cologne by Zippo 1.7 oz Eau De Toilette Spray Refillable for MenMake an affluent and sophisticated statement by wearing a fragrance as elegant and refined as you: Zippo Original. Released in 2010 by Zippo Fragrances, this scent is destined to become a legendary force with fans of the Zippo lighter, and it is packaged in a lighter-shaped bottle to add to the fun of applying it. Opening notes of bergamot and violet leaf give way to a spicy heart of clary sage and pepper that dries down to a base of Virginia cedar for a masculine composition you’ll enjoy daily. Zizanie Cologne by Fragonard 4 oz Eau De Toilette Spray (unboxed) for MenLaunched by the design house of Fragonard in 1932, ZIZANIE is classified as a refined, oriental, woody fragrance. This masculine scent possesses a blend of rich patchouli and sandalwood in a perfect balance. 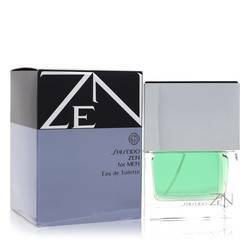 Zen Cologne by Shiseido 3.4 oz Eau De Toilette Spray for MenThe legendary fragrance is now available in a masculine version. This spicy/ woody scent is contemplative and relaxing. Top notes include bergamot and exotic Asian accords . Zizonia Cologne by Penhaligon’s 3.4 oz Eau De Toilette Spray for MenWhen you need a subtle fragrance to get your message across, reach for Zizonia. This classic scent from Penhaligon’s is a fitting match for artistic and business-minded men alike. The creamy fragrance begins with a base note of geranium, but citrus hints of orange and bergamot soon emerge. 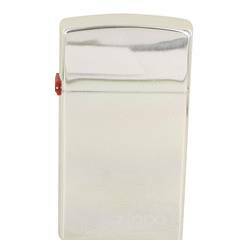 Zippo Original Cologne by Zippo 3.4 oz Eau De Toilette Spray Refillable (Tester) for MenMake an affluent and sophisticated statement by wearing a fragrance as elegant and refined as you: Zippo Original. Released in 2010 by Zippo Fragrances, this scent is destined to become a legendary force with fans of the Zippo lighter, and it is packaged in a lighter-shaped bottle to add to the fun of applying it. Opening notes of bergamot and violet leaf give way to a spicy heart of clary sage and pepper that dries down to a base of Virginia cedar for a masculine composition you’ll enjoy daily.